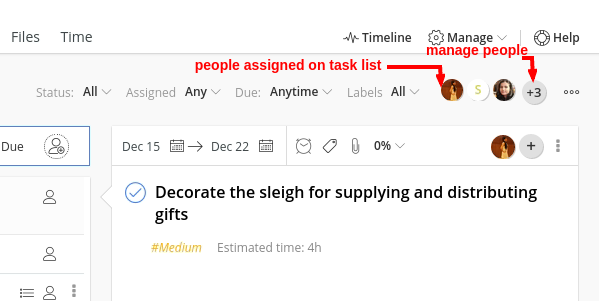 Select a task list out of all task-lists from left corner of your screen. Click the menu icon from right and choose Manage people. A window will pop up from where you can select/deselect any user. 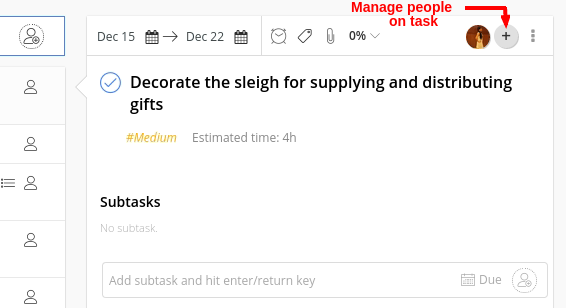 Another way to manage people is to click Assign people icon present on top right just above the task detail panel. 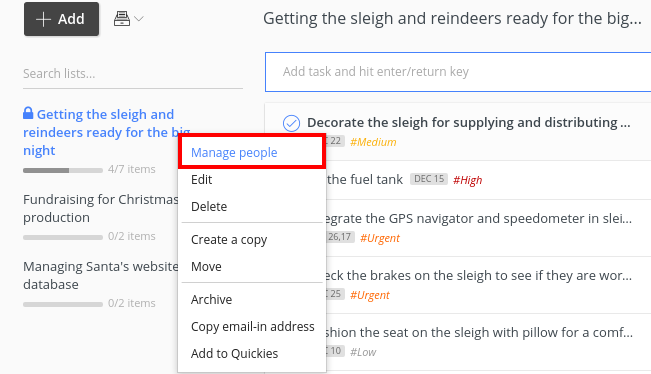 Another way to manage people is to click Assign people icon appearing in the task detail panel.